I tried getting onto my account when writing this post but they have long since deleted it, so i've not been able to have a look around at what has changed since back then. 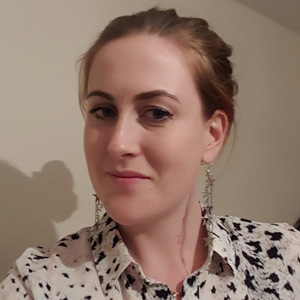 But it is still free of charge to use and is an alternative and very popular way of hosts and au-pairs contacting each other without going through a traditional agency. I ended up with three possible options. One was in America, which after a lot of thought I declined as I would have been on a holiday visa which isn't exactly right. The second was in Germany looking after two young children. After a phone conversation and emails, where I decided to tell them I didn't know how to change a nappy, they decided to go with someone else. Can't blame them really! The third family, who I went with, lived in Paderborn in Germany and wanted someone to take their 9 year old daughter to school and back and entertain in the evenings. The child I looked after was nice enough. She obviously tried it on (and succeeded in getting sweets and extra computer time) like anyone would when someone different is looking after you. Some mornings I would take her to school, though often the cleaner did that. I would pick her up in the afternoon and look after her until her Mum/Dad came back, help set up tea and entertain her afterwards. Language was not a problem. Although the family was German, the child actually went to the British school on the army base nearby. No idea why but it meant she was fluent in English. I'd normally be left a couple of bits to do during the day like cleaning the paddling pool. But the rest of my free time I would either sleep, use the internet on the Mum's computer (tablets weren't a thing back then! ), go into the town or take walks. The family provided me with a bus pass as well as pocket money which I used to go into Paderborn. 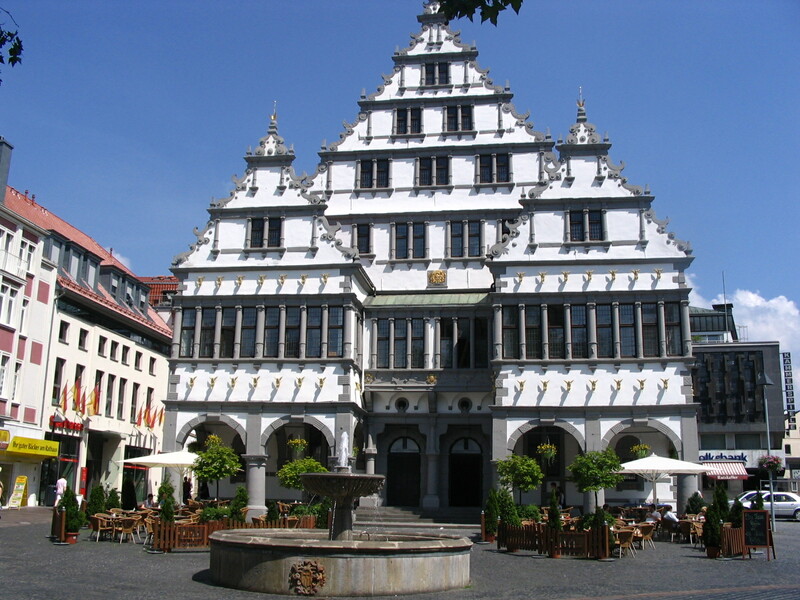 Paderborn, as you can see in the pictures, had a gorgeous city centre. Having the army base in the area was handy as it meant the cinema in Paderborn showed the occasional film in English. I did a lot of walking, even leaving the house and not knowing where I was going, as I love seeing the different areas where people live. I only stayed there a month. I was returning home anyway as the family were going on holiday and didn't require my help but I decided not to return. I didn't feel happy there. It wasn't anyone's particular fault but rather a combination of factors. It was hard living in someone's home, especially that of someone you don't know and in a different country. One small thing I remember was at dinner time this one time. I made a salad to go with dinner and they were shocked that I didn't use a dressing! It sounds silly but different countries and even within just the UK, families have different cultures and routines. Another thing I struggled with was working time boundaries. Sometimes after dinner I wouldn't know if I was finished or whether they still wanted me to help out. Another example, one Sunday on my day off, I was out walking (I often did this to get out the house) they phoned me asking if I wanted to come to the indoor water park with them. I was off work but felt it would be rude to say no. Also when I wasn't working I didn't know what to do apart from stay in my room reading. I'd often just go out and walk. It's not so bad though . . Despite saying all that I don't believe I would have carried on feeling like that had I returned. The thing is these things take time. It will take time to feel comfortable and to find things to do. The Mum was talking about some classes I could enrol on to help me meet people. Had I gone back this would have been a very good idea. But by the time I would have felt settled it would have been the end of summer and time to go back to university anyway, so I didn't see the point in staying. The family was very welcoming to me but I guess going to live in someone's home in a foreign country, when I wasn't exactly the most confident of persons, was a bit much for me. Living in a foreign country, with people you don't know and in a job role you have never done before is always going to take time to settle in. If I was to be there for a year then yes it would have been wise to stick it out longer but I didn't see the point when I was only there a short time anyway. If a host family is new to the au-pair game make sure you aren't doing anything you shouldn't be doing or working more than you should. This may not be deliberate but due to inexperience. Ask for your exact duties/time off and details of wages and accommodation beforehand. Duties are likely to change slightly but it helps to have a good idea beforehand. If you are a book lover of the paperback variety then take a few with you as the price of English books in bookshops abroad is a lot. Don't be afraid to discuss things with your host family if you are unsure or unhappy. They would much rather change things for you than you leave and them having to start the whole finding an au-pair process again. 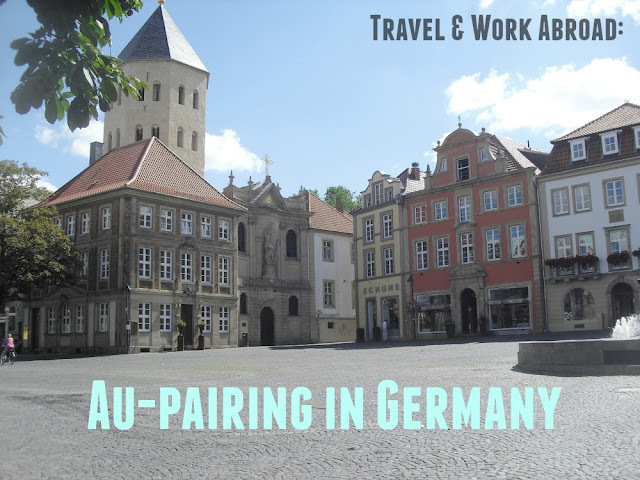 I hope this has been useful to anyone thinking about becoming an au-pair or just an interesting read if you are not. Please let me know your thoughts below! To see what I did next read this post about my work & travel's abroad.